Upgrade to Gold Treatment… You Deserve It! Gold has inspired alchemists in their search for eternal beauty for thousands of years, and it is the critical ingredient of a luxurious mask that will give you a youthful and radiant complexion. 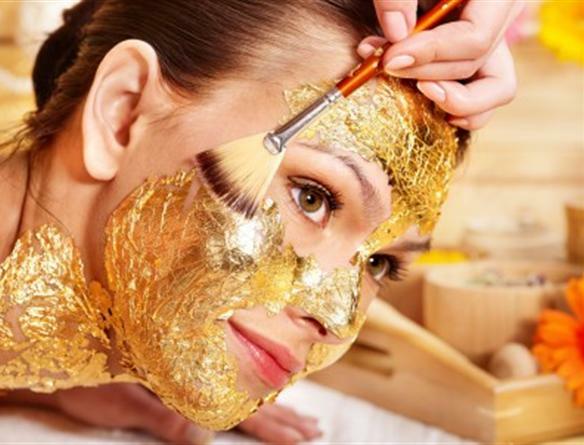 Upgrade your microdermabrasion, chemical peel, or laser facial to a gold treatment by applying a gold mask as your treatment’s grand finale. A symbol of energy and light, golden flakes make this a very glamorous treatment by adding to your traditional session a 24-karat gold mask.